Screenwriters: Paul King and Simon Farnaby, from the books by Michael Bond. Previewed at: Event Cinemas, George Street, Sydney, on 4 December 2017. 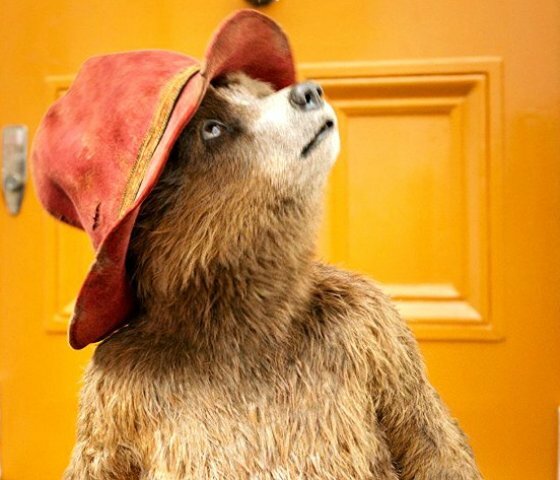 In Paddington 2, directed by Paul King (as was its predecessor, Paddington), we discover that the adorable Peruvian refugee bear Paddington (Ben Whishaw) has now happily settled in with the Brown family in Windsor Gardens. He knows everyone in the street and gets on with all the neighbours except for the grumpy council inspector, Mr. Curry (Peter Capaldi). While searching for a gift for his much-loved Aunt Lucy’s (Imelda Staunton) forthcoming 100th birthday, Paddington finds a unique pop-up book in Mr. Gruber’s (Jim Broadbent) antique shop. Featuring representations of many of London’s major historic sites, it’s the perfect present for her as she has always wanted to visit the city - it’s on the top of her bucket list. As it’s one of a kind, the book is rather expensive but Paddington has his heart set on it, so he undertakes as many jobs as he can to earn the necessary funds (his work as a window cleaner is particularly funny). When visiting a local fair ground Paddington encounters Phoenix Buchanan, a ‘thespian’ whose glory days are behind him (Hugh Grant in a very tongue-in-cheek role), who also has designs on the pop-up volume but for very different reasons. 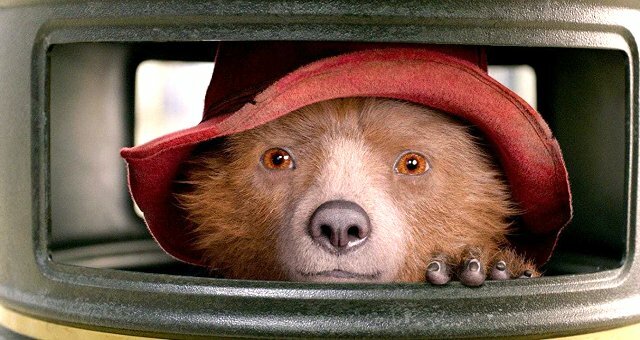 The ensuing drama sees Paddington and his family - particularly Mr. and Mrs. Brown (Hugh Bonneville and Sally Hawkins) and the family housekeeper, Mrs. Bird (Julie Walters) - caught up in the shenanigans. The script is hilarious in parts and hits just the right note of whimsy and fantasy, bringing Bond’s creations to life in exaggerated yet believable form. The performances, from both the voiced characters and the ‘real’ ones, work well together and the animated and actual figures combine beautifully in the frame. It’s hard to believe that Paddington really isn’t on set with the humans! All credit to the Special Effects and Visual Effects teams. Hugh Grant is delightfully shifty and looks as if he had a ball playing the villain. Sally Hawkins once again shows her versatility (it’s a far cry from Maudie) and Hugh Bonneville plays the likeable, slightly dipsy partner bumbling through the whole situation in suitably bemused fashion. Whishaw’s Paddington seems to have grown up a bit this time round as the little bear takes on responsibility in his usual endearing manner, making us wish our childhood teddies at home were as animated. There’s lots of fun to be had at Paddington 2 and it’s a wonderful way to spend a couple of hours at the cinema. Adults and kids alike are going to love this experience.